​1) PROJECT MANAGER - This artist is responsible for bringing supplies to the table and returning supplies at the end of the class. ​2) QUALITY CONTROL - This artist is responsible for keeping the table group on task and making sure the noise level is at a pleasant conversation volume. Making sure the team is respectful of the clean up area. 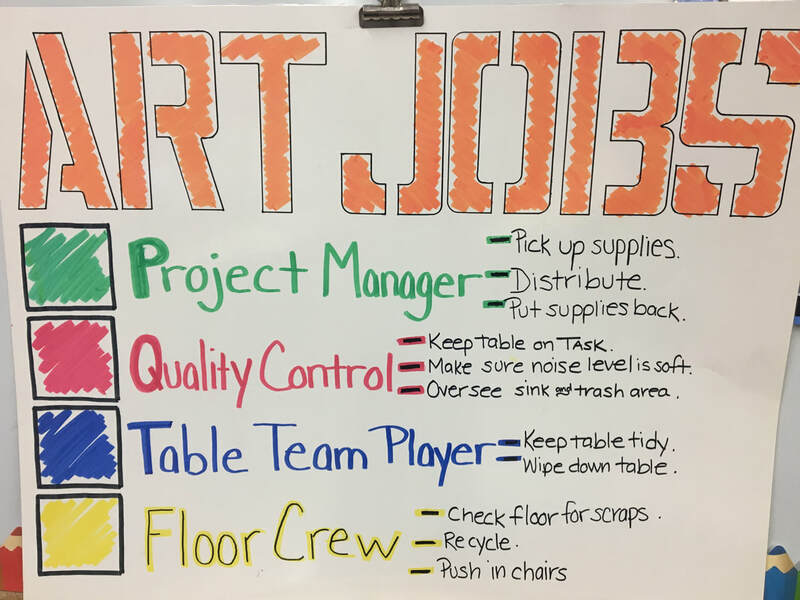 ​4) FLOOR CREW - This artist is responsible for checking their table area at the end of class to make sure that all our supplies end up where they belong. They also check to see if their table group has pushed in their chairs before leaving class.